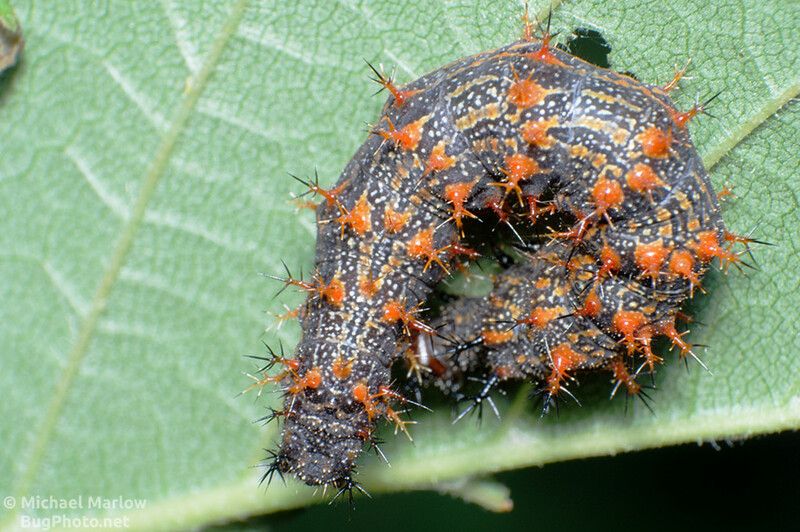 A prickly and curled up Question Mark butterfly caterpillar. In case anyone stopping in doesn’t know, I also post pictures on flickr. (Opens in a new window.) I thought today would be a good day for a crossover post; I put up a bunch of pictures of this Question Mark caterpillar! 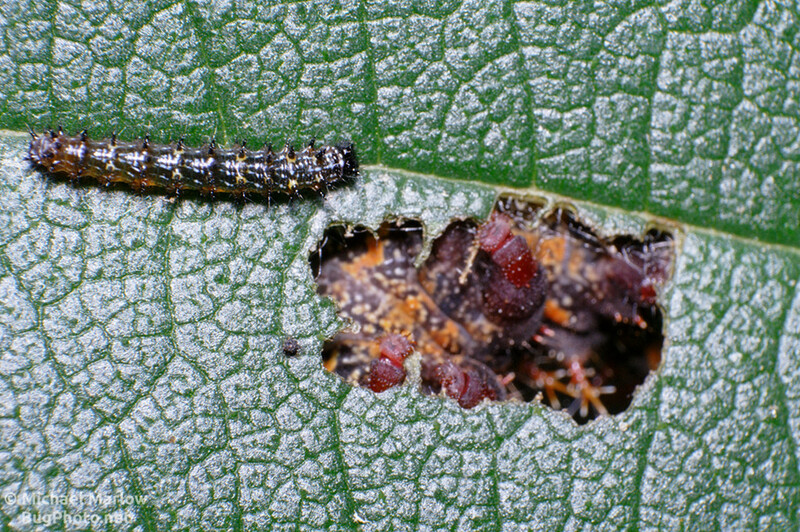 Then and now, a window: an early instar caterpillar fits neatly along the vein of the leaf while a late instar question mark caterpillar only shows its prolegs through a well-munched hole in the leaf. Posted in ButterfliesTagged butterfly, caterpillar, flickr, Macro Photography, Nymphalidae, Polygonia interrogationis, prickly, Question Mark, reverse lens, spinyBookmark the permalink.